When businesses, brand managers, and marketers talk about social media, there’s always one acronym that’s always being brought up: ROI. It is, of course, perfectly reasonable. 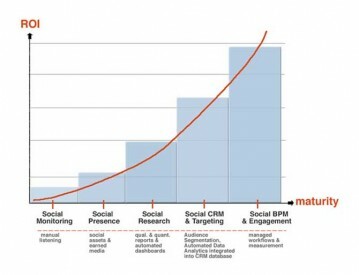 One needs numbers, results, and reasons for going social. (Well, at least one needs these things if “going social” is part of what’s called “work”.) One needs to justify the amount of money and effort spent on campaigns on Facebook, Twitter, YouTube. Not just justify, actually, but also monitor, measure, and manage. Good thing we have all kinds of apps and tools for gathering intelligence (about our efforts and that of competitors). It’s challenging enough finding ways to write retweetable tweets, increase follower counts and expand fan bases, design Like-able Facebook pages, or go viral with video. But to take things like “perception”, “engagement”, “feedback”, and “sentiment” and try to pull out numbers from these, too? How does one begin to quantify any of that? Radian6 is a social media monitoring and engagement platform that aggregates in-depth information from all your social media channels – and presents that information in a way that improves your performance. Their Radian6 Reports give you the information on what people are saying about you and your competitors: you can scan over 150 million blogs, more than 90 million tweets, 25k+ online mainstream news sites, over 420,000 video and image sharing sites, hundreds of thousands of discussions boards, Facebook pages, Friendfeed, and even LinkedIn Answer pages. In real-time. 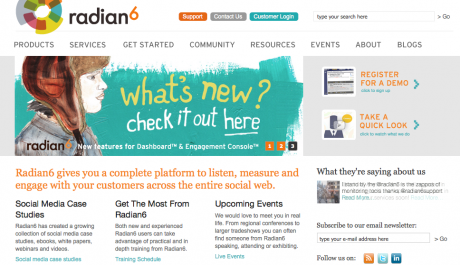 Radian6 can also help you more efficiently manage your social media campaigns – saving you lots of legwork. The new Engagement Console, for example, allows you to view, assign, route, tag, respond, post, and share directly from your desktop without having to go to each social media site one by one. Another sweet thing you can do is use Radian6’s Google Analytics, WebTrends, or Omniture integrations to filter social media content by web stats like site visits, conversions, or purchases. Yes, HootSuite has its own social analytics application, closing the loop between social messaging with real-time views into your campaign results. While not as extensive or comprehensive as Radian6, HootSuite Social Analytics still has plenty of good things going: ease of use, flexibility, and accessibility. One of the main ways it tracks results is by monitoring mentions – of your brand, competitor, industry, or search term. Results are tracked in real-time. To keep everyone in the loop and up-to-date with campaign results, you can allow multiple employees – as well as any HootSuite user – to gain access to any information you want to share. Updates/reports can be scheduled daily, weekly, bi-weekly, or monthly, and management of multiple contributors or members is a breeze. Collective Intellect, or CI, actually has several social media modules, each of which features the so-called Latent Semantic Analysis (LSA). LSA is basically an advanced form of statistical language modeling that’s designed to expose latent contextual meaning within a large body of text. 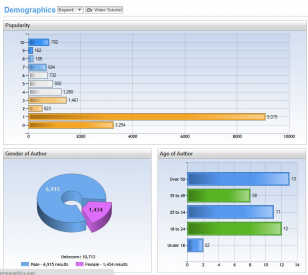 So, with LSA, as your customers talk about your industry, brand, or product, you can decipher the relationships and correlations between words and plots – and thus blend qualitative analysis with quantitative. 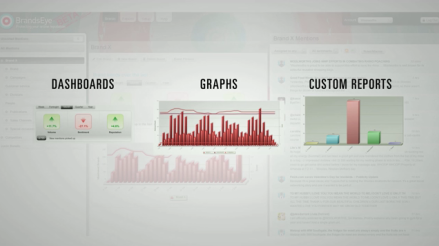 CI-Insight is the social CRM platform, offering an integrated consumer conversation and management analytical hub. CI-Listen, meanwhile, is a social media monitoring platform that covers social data such as activity, sentiment, author, demographics, and trends. Lastly, CI-Learn is a solution that provides clients with a wide array of full service, customized social media research deliverables that uncover valuable insights into consumers’ unprompted and unbiased thoughts, opinions, considerations and preferences that they express in social media conversations. This social media monitoring and measurement platform has garnered the support of a pretty impressive client base that includes Microsoft, Ogilvy, PayPal, Skype, and Xerox. That’s because of its comprehensive set of user tools, reports and metrics – applicable to multiple social media channels – which should allow you to, say, find out the gender, age, and location of who’s talking in the social sphere; listen and respond to what’s being said; make assessments using social media rankings and “share of voice”; and even analyze social “sentiment” (are conversations about your brand positive or negative?) based on reports that gauge customer brand perception or emotion to advertising. Alterian SM2 offers geographic as well as multi-language tracking, and features an impressive map overlay that allows you to drill down and interpret the nature of any conversation. 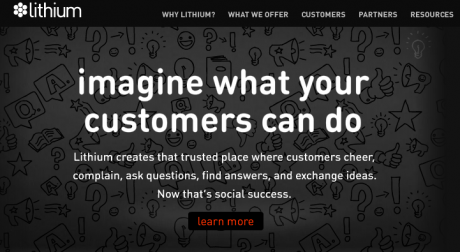 Lithium has several neat features designed to help you track your brand in multiple social media sites. One that stands out is Frequent Words Analysis, which keeps users ahead of the game by dialing them into emerging topics and conversations. The Quotes feature, meanwhile, calls out your social customers’ “passion points” and brings you closer to the community of people who follow and speak about you. 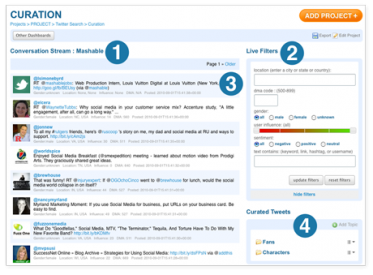 Social Mention is a real-time social media search and analysis platform that aggregates content from across social media sites and delivers them to you by E-mail. Think of it as something like Google Alerts, only it covers 100+ social media properties directly including: Twitter, Facebook, FriendFeed, YouTube, Digg, Google, etc. The best part about this sweet tool? It’s free. BrandsEye is actually an online reputation management tool, but we included it in this list because it does a great job of calculating the value of online social conversation. Yeah, okay, like the other tools above, BrandsEye can automate the tracking of online conversations and social mentions for you. But more than that, it computes your Reputation Score (used to plot how people perceive your brand online) as well as your Conversation Value (with an Ad Value Equivalent (AVE) score that assigns a monetary value to your brand’s earned media). It’s an awesome way to arrive at numbers while going social. Trendrr has a bunch of great features, including real-time data processing, social graph optimization, influencer identification (for finding out which social authorities are making or breaking your brand), location-based statistics, and instant data mashups. 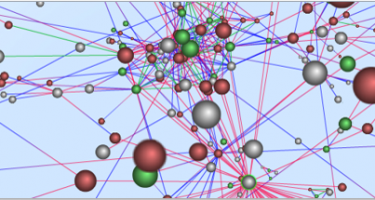 Its visualizations are stunning and, more importantly, easy to understand. Gender, geographic markets, link data, hashtags, and desktop / mobile data are among the most useful kinds of information that you can dig deep into with Trendrr. This tool promises to go beyond social media monitoring by leveraging something called “human-guided data validation”. This allows Spiral16 to work like a search engine, collecting relevant digital content and presenting them in amazing 3D visualizations and maps. If you’re making a presentation that’s supposed to help your bosses intuitively understand the performance and ROI of your social media campaign, try Spiral16 and its awesome 3D virtualization capabilities. Sysomos provides business intelligence for social media, and does so in a way that streamlines all your monitoring efforts. The tool automatically tracks sentiment, too, to see if you or your competitors are being perceived positively or negatively. It also offers several great features like demographic tracking, key influencer tracking, influence identification, and engagement, and historical, global, and multilingual tracking. Attentio Brand Dashboard is a great buzz-tracker for any social media marketer, giving access to data such as visualized buzz trends, multi-language sentiment, and event detection. Information can be segmented by source, topic, country, and language. Reinvigorate is real-time web analytics with heat maps, providing detailed visitor / referral reporting in real time and then presenting this data in well-designed, easy-to-understand visualizations. There’s a free version, but if you want the full set of features from Reinvigorate, plans start at $10 monthly. 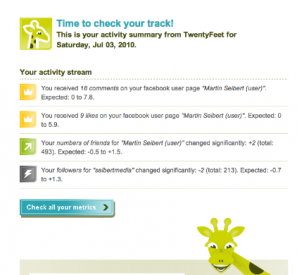 Funny name, sure, but TwentyFeet is serious about delivering aggregated social stats in one place. Your TwentyFeet overview can show key performance indicators from social media channels like Twitter, Facebook, YouTube, bit.Ly, Google Analytics, MySpace, and more. Oh, and it costs next to nothing, too: $2.49 a year, with the first 30 days completely free. YackTrack is a social media monitoring and conversation tracker, with particular focus on blog conversations and commenting. It thus answers the question “Who said what, where?” by collecting information from Blogger/Blogspot, Digg, Disqus, FriendFeed, Google Blog Search, Google Reader, Identi.ca, IntenseDebate, Mixx, Reddit, StumbleUpon, Technorati, Twitter, TypePad/MoveableType and WordPress blogs. The list continues to grow. Another important feature of YackTrack is Chatter. 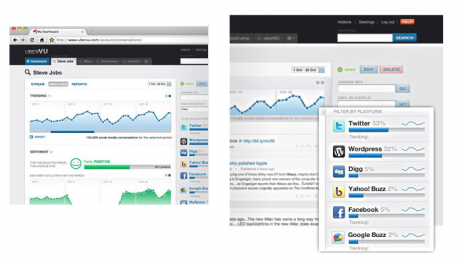 Chatter gives you a keyword search for the social media sites. 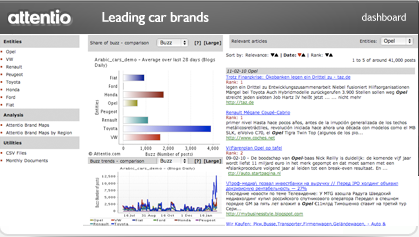 This allows you to see “chatter” on various sites that talk about a specific keyword. So if you are looking for mentions of Comcast, the cable company, you just enter comcast in the Chatter search box and click the “Find Chatter” button. Similar services exist, but most services are focused just on Twitter chatter. 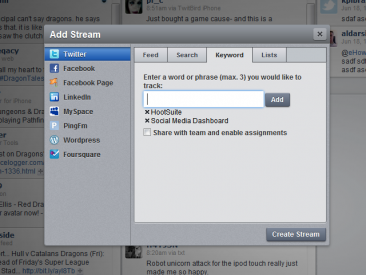 YackTrack Chatter currently supports Mixx, Identi.ca, Technorati, Google Blog Search, FriendFeed and Twitter. Again, this list should expand as the site continues to grow. 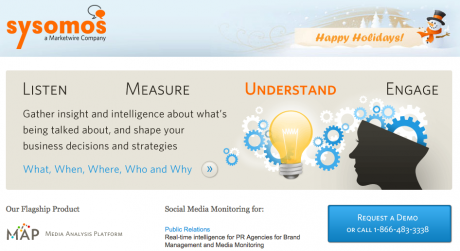 UberVU is a comprehensive social media platform that helps your team understand, measure, and report on social media. It’s designed for agencies or teams inside businesses that are looking to maximize ROI from their social media campaigns. Some of UberVU’s features include: real-time data collection, historical data tracking, contextualization of social mentions and comments, infinite data storage, sentiment tracking, conversation word cloud, and one-click data filtering. 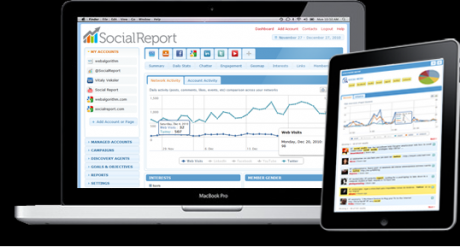 Social Report is a unified social analytics dashboard and reporting platform, a place where you can track all of your social accounts, websites, short links, and blogs with ease. Social Report offers tools to help with discovery, marketing, conversion tracking and semantic analysis of your social data. The platform offers you the ability to track and own social data on many different levels – from membership to engagement to demographics to geography, and to campaigns. This will be available in the third quarter of this year, but just in case you want a sneak peek: Adobe SocialAnalytics is a platform – powered by Omniture – that can monitor and measure popular social media sites, including Facebook, YouTube, Twitter, blogs, forums and any place where social conversations are occurring to see the valuable social data in context with all of their online initiatives. Its features will include Facebook Measurement, Facebook App Measurement, Mobile App Measurement, Viral Video Measurement, and Twitter Measurement. Chris- Great overview of all of these tools! It’s a bit much to take in, but you’re right in realizing that each has its own unique strength. Thanks for mentioning our 3D visualization! If a company has a clear vision of an online strategy, measuring that success is essential, but if you don’t yet have one, using a monitoring platform can give you the intelligence you need to create a great one. thank you for writing this. I would also like to bring to your attention the company I work for, Awareness, Inc., creators of the Social Marketing Hub. The Hub is a fully featured social media management tool. Specifically, the measurement features include sentiment monitoring, content analysis across campaigns, drill down by network or individual channel, social profiles for social media users, and more. I would be happy to brief you on The Hub so you can include us on this and future articles. Please let me know if you would be interested. Thank you. Hi Chris, great list of tools. Thanks for mentioning TwentyFeet! 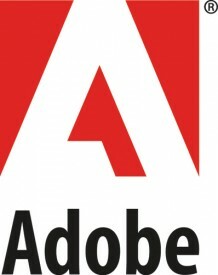 A fantastic resource and look forward to taking the new Adobe analytics’s tool for a spin…thanks a lot.